http://usawatchdog.com/dr-paul-craig-… – Former Assistant Treasury Secretary Dr. Paul Craig Roberts says, “The West is draining itself of physical bullion. . . If there is a currency collapses and you try to flee into gold, there won’t be any there. 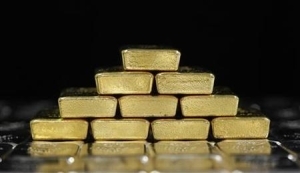 The Chinese will have it.” So, is this the year gold and silver stage a big turnaround? Roberts says, “It’s gone on longer than I thought it could go on. I didn’t realize all the deceptive and crooked methods they would use to rig the markets. The notion that a democratic capitalist country having its markets rigged by its own authorities–it blows the mind. This is not normal. What will they do next? I don’t know.” Join Greg Hunter as he goes One-on-One with economist Dr. Paul Craig Roberts. http://usawatchdog.com/weekly-news-wr… Look at the mainstream media headline: “Health Care signups top 1 Million.” Here’s what they are not telling you. People who have turned negative on government-run health care are at record numbers. A CNN poll says 63% think the new law will make health care more expensive. Did you hear about the New York Times so-called investigation into the Benghazi attack where our Ambassador and 3 other people were murdered? The Times is saying the attackers had no ties to al-Qaeda, and it really was because of an anti-Islamic video. The Times doesn’t even bother to interview key people responsible for security at the State Department such as Eric Nordstrom. Nordstrom testified to Congress that Benghazi ranked “HIGH or CRITICAL in threat categories related to political violence, terrorism . . .” Terrorists struck Russia this week with two separate bomb attacks. More than 30 people were killed and dozens injured. Vladimir Putin has vowed to annihilate the terrorists before the winter Olympics. 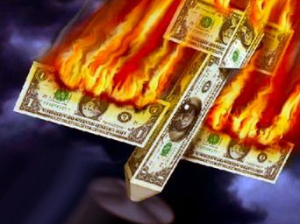 Gregory Mannarino predicts that money is going to flee stocks and bonds and go into depressed assets such as gold and silver. Join Greg Hunter of USAWatchdog.com as he gives his analysis to these stories and more in the Weekly News Wrap-Up. John and I connected to discuss the latest economic developments. His next book, co-written with GoldMoney’s James Turk will be released any day. John believes that bank lending is about to pick up big time. The reason is simple. Since at least the 1980s, US policy has been to convince us to borrow as much as possible on pretty much anything we could think of. This worked brilliantly until 2008, when homeowners, consumers and businesses hit a wall and private sector defaults began to exceed new loans. Another Great Depression was imminent. Gold And Silver – Your Economical Survival Depends On Them. **I am determined to help you make money FOR FREE! In reviewing this video I realized that I did not emphasize the most foolish of Yellen’s statements. In her praise of “innovative” mortgage products, which include such things as subprime, interest only, zero down, negative amortization, and no-doc loans, Yellen specifically identified homeowners using their houses as investments rather than places to live, and leveraging those “investments” using cash-out refis or home equity loans, as evidence that there was no bubble. So according to Yellen, highly leveraged, real estate speculation was evidence that there was no housing bubble! That the very products that helped fuel the housing bubble and exacerbate the financial crisis proved that there was nothing to worry about! Incredible!!! And she is out next Fed chairman! Marc Faber, publisher of The Gloom, Boom & Doom Report, told CNBC on Monday that investors are asking the wrong question about when the Federal Reserve will taper its massive bond-buying program. They should be asking when the central bank will be increasing it, he argued. “The question is not tapering. The question is at what point will they increase the asset purchases to say $150 [billion] , $200 [billion], a trillion dollars a month,” Faber said in a “Squawk Box” interview. The Fed—which is currently buying $85 billion worth of bonds every month—will hold its October meeting next week to deliberate the future of its asset purchases known as quantitative easing. The continuation of Fed bond-buying has helped support stocks, and the Dow Jones Industrial Average and S&P 500 Index are coming off two straight weeks of gains, highlighted by record highs for the S&P. Marc Faber, The Gloom, Boom & Doom Report, shares his views on how inflation has impacted global wealth. In Monday’s “Squawk” appearance, he said that could still happen but possibly from higher levels because of the “asset bubble” caused by the Fed. 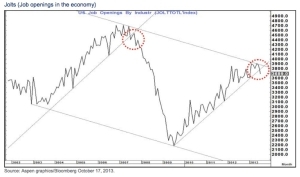 “One day this asset inflation will lead to a deflationary collapse one way or the other. We don’t know yet what will cause it,” he said. —By CNBC’s Matthew J. Belvedere. Follow him on Twitter @Matt_SquawkCNBC. Addicted to debt, moving from one quick fix to the next — this is how the world sees America’s debt ceiling saga. With its craving only temporarily satisfied, we’re guaranteed to see a rerun of the debt tragicomedy in early 2014. Is it possible to break the vicious cycle, or is it a question of postponing the inevitable? To canvass these issues, Oksana is joined by ‘Dr Doom’ Peter Schiff, an investment broker who predicted the 2008 crisis. He went on to say that the slumping dollar index, which measures the greenback’s value against a basket of currencies, reflects the current sentiment of investors around the world. They are saying “lets go into gold, lets get out this dollar … lets not be in bonds in the United States, we’d rather be in any other currency because they basically have lost control,” he said. “There is a notion that there’s a party dissolution, there’s no coming together. … This is a good opportunity—between now and the next wrangle—where you can find a safe haven. Whether it be gold, whether it be the euro, or whether it be, frankly, the Chinese currency,” he said. The dollar was last down 1.1 percent to 79.64, and off of a one-month high of 80.754 that had been sent on Wednesday.